AT&T and the First Responder Network Authority have begun the build-out phase for a national public safety broadband network, Federal News Radio reported Friday. “Two weeks ago we issued the final task order, which is kind of the blue print for the build out in the 56 states and territories and the District of Columbia that’s required,” FirstNet CEO Mike Poth said on Federal Drive with Tom Temin. “So this is the green light for them to specifically build to the specifications that each governor has said is acceptable to them,” he added. Poth noted the build-out phase includes the establishment of a virtual network, broadcast towers and physical facilities. 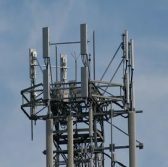 AT&T has started to install the Band 14 spectrum that will work to establish communication connectivity for public safety personnel across the U.S. as part of a task order awarded in March. Update on the build-out phase came weeks after the launch of the FirstNet network core infrastructure that will serve as an exclusive national broadband network for first responders.